Horse hot walkers, flow exercisers and treadmills, starting gates, barns, pens and corrals. Contains specifications, a color chart and leasing information. Located in Mira Loma, California. Jewelry, handcrafted gold, sterling silver, cut-out coins and personalized golf ball markers by Ron and Doris Walker. Offers a variety of harness tack items, horse paintings, horse bells, peerage brass, limoges, murano glass, decanters, ceramic nickel rosettes and horse prints. Handcrafted horse equipment plus horse bits and leather goods. Custom work available. Offers 14kt gold horse lover jewelry. Equestrian, saddle, horse-shoes, and cowboy themes. Horse training, horse care, health care, and horse facility books and articles from award-winning author, Cherry Hill. Horse gifts, horse art, novelties, clothing, home decor. Specializing in racehorse and racing related themes. A complete line of all natural horse and pet care products, supplements, vitamins and minerals. We now carry saddles, tack, grooming products and everything for the performance horse and rider. Sells a variety of home baked horse treats, gifts baskets, t-shirts, toys, care products, ribbons, board games and horse shoe gifts. Equestrian riders clothing, horse clothing, tack, saddles, stable supplies, horse health products and gifts, specializing in Tennessee Walking Horse products. Offering instructional video and a companion book, in training your horse to do tricks. Veteran trick horse trainer and television personality with over 50 years experience in training horses. Hand beaded horse halters can be personalized with your horse name. Variety of patterns and colors. Features illustrated articles and forum discussion on the psychology and behavior of the horse. Subjects include evolution, social behavior and welfare, learning, body language, grazing, family, history of horse Whispering, and history of the Thoroughbred. Also provides related links. Specializing in western and English horse equipment and supplies. Offering nutritional, handmade horse treats. Custom made sheets, blankets, stall drapes and horse attire. A full service tack shop featuring items for horse and rider. Offers a variety of horse tack and equipment for online shopping. A soft treat for your horse. Made daily with no preservatives. New horse haulers. Information on safe traveling with horses and product features. Offering anatomy charts and freeze-dried and skeletal models of horse limbs. Grooming supplies, equipment, and gifts for horse lovers and equestrians. Equestrian gear and apparel for both horse and rider in both English and Western styles. Polo supplies and accessories for the horse and rider. Feed, gifts and sportswear. Offers range of tack and horse care products primarily for the trail horse. 28 The Easy Walker Pet exerciser. Horse monitoring camera systems, foaling monitors, horse trailer cameras and tack room security. Offers tack, saddles, helmets, draft horse supplies, mini horse equipment, and apparel. Supplying the Laurel Highlands with saddles, tack, feed and horse related apparel and gifts. Offers 100% natural herbal equine formulations, supplements, and over 300 bulk herbs to promote horse health. If the business hours of Centaur Horse Walkers in may vary on holidays like Valentine’s Day, Washington’s Birthday, St. Patrick’s Day, Easter, Easter eve and Mother’s day. We display standard opening hours and price ranges in our profile site. We recommend to check out hotwalkers.com/ for further information. 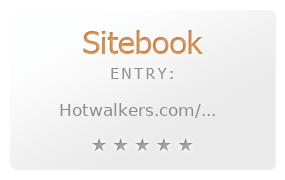 You can also search for Alternatives for hotwalkers.com/ on our Review Site Sitebook.org All trademarks are the property of their respective owners. If we should delete this entry, please send us a short E-Mail.